These are the degrees to which Goldman Sachs is responsible for Greece’s current woes and the highly indebted status of Deutsche Bank. To start with the latter issue — arguably more immediately pertinent to current tribulations. The following events should raise eyebrows. In 2013 the largest bank in Europe surprised the markets and its investors when it diluted 10% of its overall equity and since then deleveraged or purged its balance sheet, quietly jettisoning billions of toxic, or potentially toxic, investments. Nevertheless, Deutsche Bank’s 2014 annual report revealed that the super bank (in size anyway) had an eyewatering €54.7 trillion net exposure to derivatives, a sum, to put it in perspective, which is 20 times in excess of the GDP of the EU economic powerhouse, Germany. During the 2014-2015 period the bank undertook further deleveraging of investments it deemed of risk; it sold €8 billion worth of stock at a 30% discount and failed banking industry “stress tests”. And just this month witnessed the resignation, without explanation, of its two CEO’s followed by a Standard and Poors rating of BBB+, a dangerously low rating — lower than Lehmann’s just prior to its collapse. Deutsche Bank’s ultimate fate remains to be seen but these indicators do not present a healthy financial institution. It goes without saying that a Greek default would have massive repercussions for Deutsche Bank and by implication the entire European banking system. This nightmare situation must be informing the thinking of Greece’s creditors, not least German chancellor, Angela Merkel. 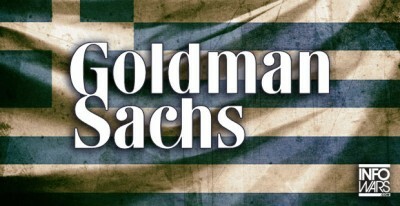 Regarding Goldman Sachs, it’s a matter of record that the global investment bank, in 2002, assisted Greece in disguising the true extent of its banking debt via a questionable process called “cross currency swapping”. While this practice itself isn’t unusual, in the case of Greece, notional currency rates were factored in to the process resulting in credit of up to $1 billion for Greece which distorted completely their national balance sheet. This legally circumvented EU budget deficit rules which clearly stipulated a maximum budget deficit limit of three per cent of GDP and total Government debt of no more than 60%. The 60% limit never prevailed in Greece while adherence to the three per cent ceiling was only possible via such balance sheet “manipulations”. Those responsible for creating this controversial subterfuge, to nobody’s great surprise, quietly left it behind despite the shock waves it caused, shock waves that lead us clearly to the current impasse. The tragic thing is that those players in the current situation, wagging fingers at Greece and portraying themselves as “adults” in all of this are well aware of all of this background music yet the dirge plays tragically on.